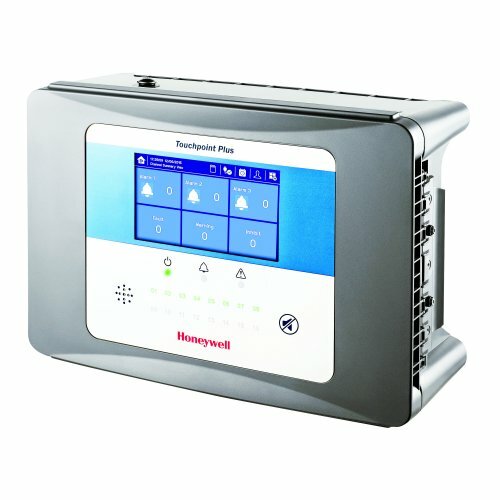 Touchpoint Plus is an easily configurable, wall mounted control system that supports up to eight channels of gas detection. Its intuitive user interface and modular approach enables control and configuration of a wide range of applications. Built around its intuitive, ergonomic touchscreen, Touchpoint Plus is designed for ease. 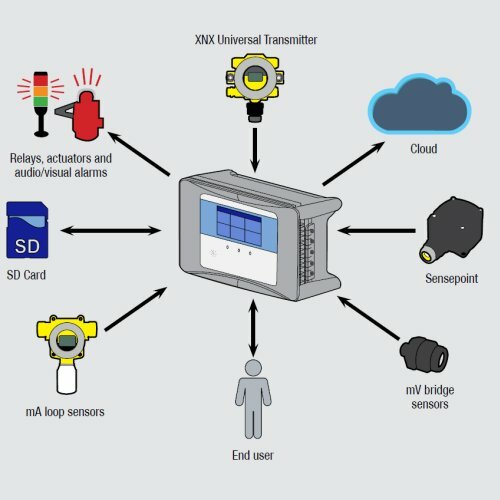 Operators can configure, operate and maintain the gas detection system simply and efficiently by simply touching the screen. The multilingual interface simplifies operation, reducing training requirements and costs. Real-time data is presented in an easy to navigate menu system, whilst historical data can be downloaded to monitor developing threats. Touchpoint Plus features full colour traffic light style status indication to provide clarity from a distance allowing operators to see system status at-a-glance and make time critical decisions easily. Made of high-impact polymer plastic, Touchpoint Plus is versatile and durable. It is dust-proof, water-proof and has been tested to withstand the toughest environments - indoors and out. Touchpoint Plus can be directly wall mounted, or mounted using an optional mounting plate. Behind the hinged front cover there is plenty of space for wiring and a unique tiered terminal arrangement for easy access. Cable entries are pre-drilled and sealed ready to use, further reducing installation time and cost. Touchpoint Plus provides a reliable safety solution for small scale gas detection systems across a wide range of applications and industries. As the heart of the gas detection system, Touchpoint Plus is designed to work with Honeywell's industry leading gas detectors and drive actuators, audible and visual alarms to provide a complete end-to-end, highly configurable safety solution. 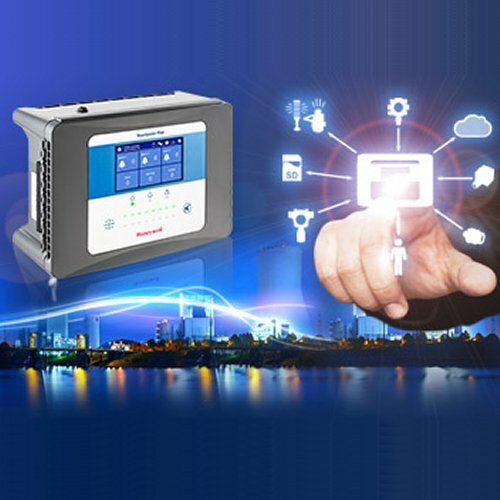 Honeywell Touchpoint Plus gas detection controller is available in a range of configurations. Please contact JMW for details and prices.